The Private Papers of Henry Rycroft (1903) occupies a special place in Gissing’s work, as the expression of the dream of perfect release that has haunted all his creative life. 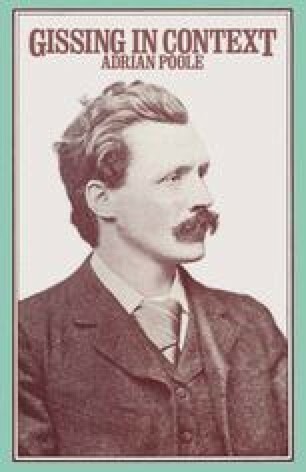 Since the present argument has been that Gissing’s value lies in the tensions and frictions and unresolved contradictions of his writing, it will be clear that the Utopian calm so affectionately figured here can only be considered as a deplorable but logical capitulation. Nevertheless, if it can be seen in the context of Gissing’s work as a whole, it does him no disservice. For it illuminates in retrospect the courage and passion with which his finest writing has resisted the deep temptation to indulged withdrawal.